Develop the strength, stamina and work capacity of a pro fighter. There is no need to spend your life in the gym, too much time spent bodybuilding will be detrimental to your performance in the ring. You already train hard in your martial art, this program will supplement your training taking you from an average exponent to an exceptional warrior. -The program that ended one kickboxers run of defeat and turned it into an unbroken run of victories. Q: What are the needs of a fighter? A: There has never been a purer form of competition than a fight. Two men facing off, no support, no back up, no fancy equipment. Just two men in a battle to see who comes out victorious. Once a fighter steps into the arena they only have themselves to rely on. If their training and preparation hasn’t been sufficient, then their opponent will capitalise on this, they will use it against you and take away any advantage you may have had. In effect it means a fighter must not specialise in any one aspect of their training outside of their chosen martial art. It goes without saying that the greatest amount of time and energy must be spent on skills training. Unless you develop good technique, speed and timing, no amount of supplementary training will make you a great fighter. Once the skills are in place, then a strength and conditioning program can take you from average to exceptional. A well rounded Strength & Conditioning program is very different to the standard workouts seen in most gyms across the country, or the world for that matter. We are not doing a bodybuilding split followed by an endurance session. We are looking to cover all aspects of fitness, Strength, Speed, Power, Endurance, Mobility. We don’t measure the effectiveness of a workout by how wiped out we are at the end, or how sore we feel the next day. We measure the effectiveness according to whether or not we have performed better, have we done more reps, lifted heavier weight, done it faster? These are markers of progress, not the burn or the soreness the next day. This is the actual training program used at Wild Geese. 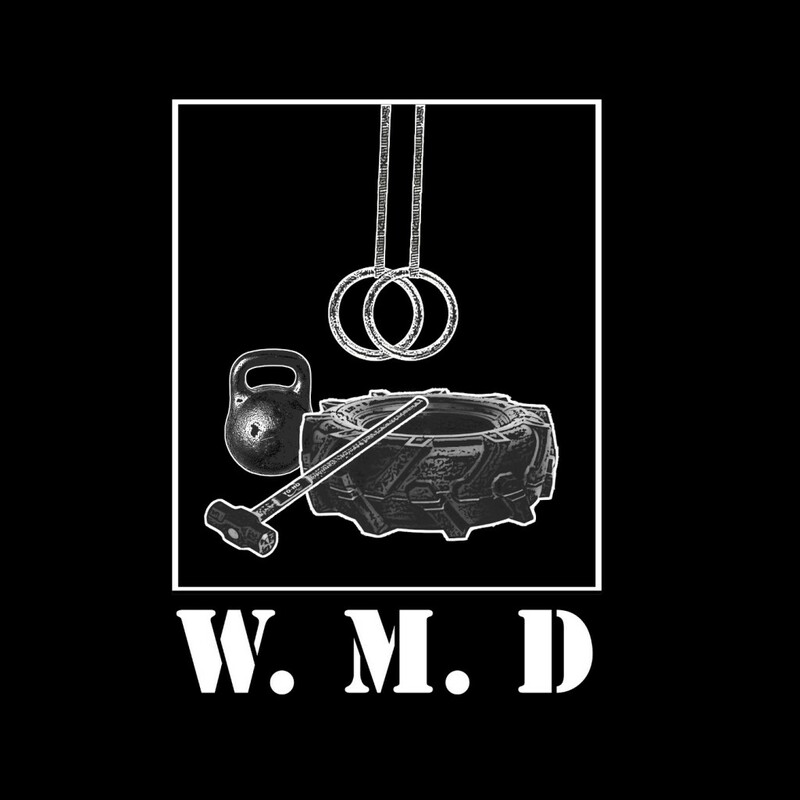 Go from being average to being exceptional to being a W.M.D.